As a heatwave overtook New York for over a week, the temperatures made running a problem and required much preparation and hydration to take to the roads. The last day of the heatwave fell on the Saturday the race was scheduled and it was downgraded from a 10k race to a four mile fun run in New York City’s Central Park. 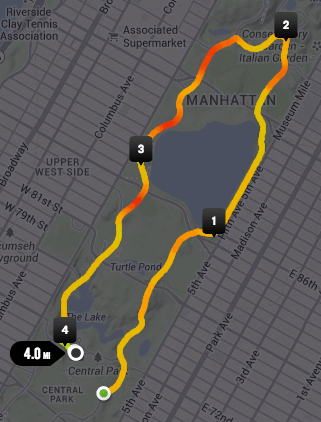 The original course had us running the entire length of Central Park, doing the full loop around the park. Instead the top and bottom of the loop were cut out to drop two miles, most notably cutting out Harlem Hill – the worst hill to run in the park. We started out at 72nd street and headed north on the west side of the park up cat hill, where the panther statue watched us run in the heat. Once we reached 102nd st, we turned left and headed across the 102nd st transverse to cross the park. We turned left to head back down the east side of the park and ran up and down the rolling hills back down to turn left and finish on the 72nd st transverse. 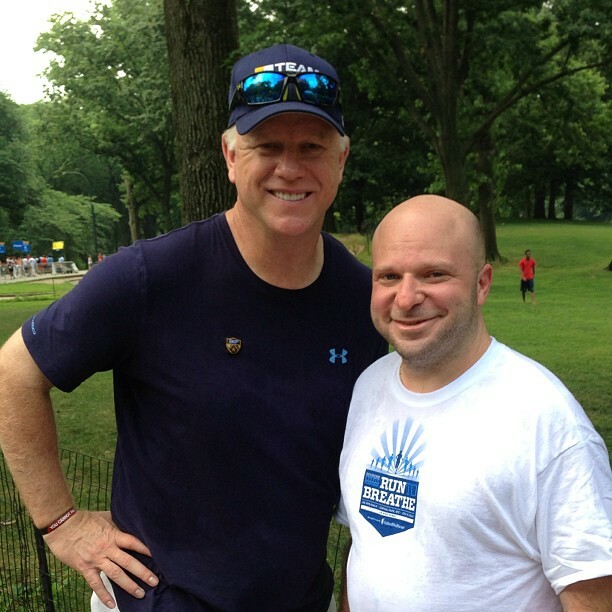 The heat made even four miles to be a challenge. There were four water stations on the four mile course, two with hoses spraying over the course to cool us off. Even with these water stations, it was still quite hot and required running slower than usual. While the race was an untimed fun run, I did it in 41:53 and it counts towards the New York Road Runners 9+1 towards the 2014 marathon.